Thanks so much to everyone who has followed our blog this year. 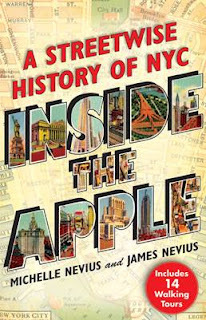 2012 promises to be a fun year for Inside the Apple--we'll be posting articles on an array of topics, including a series related to the 200th anniversary of the War of 1812. We welcome suggestions. Sometimes readers will send in photos of buildings and ask, "What's this?" Sometimes, questions will come up on tours that we can't answer and the results end up on this blog. 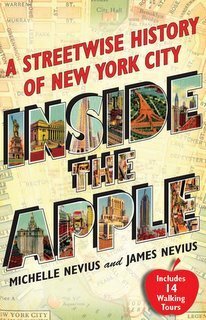 If you notice something around the city--or have a nagging question you've always wanted answered--put it in the comments or send it along to info@insidetheapple.net, and we'll try our best to answer. In the meantime, we hope you have a great New Year's Eve. We will be watching the ball drop--as always, from the comfort and safety of our own home. If you don't know why it's a ball that drops, read our post from 2009 that explains it all. PS: You can also follow us on Twitter, Facebook, and have this blog sent to you via email. 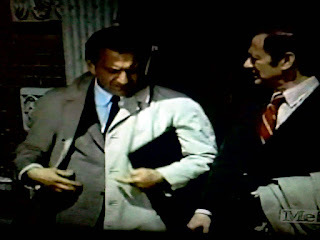 When we heard yesterday that Jack Klugman would be returning to the stage in Twelve Angry Men (he is the only cast member from the original 1957 film still living), our thoughts immediately turned to Klugman's most famous role--that of New York City sportswriter and notorious slob Oscar Madison in The Odd Couple. Based on Neil Simon's hit play and film of the same name, the television show ran from 1970 to 1975. Klugman played opposite Tony Randall's Felix Unger, a photographer and neat freak. 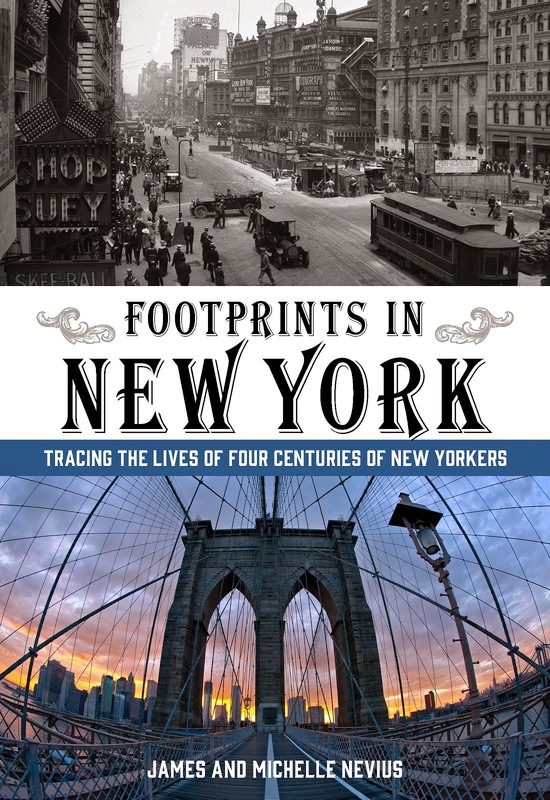 Though produced on a sound stage,* the opening credits were filmed on location around New York, and like many shows of that era, they provide a glimpse into the city of the time. * Season one was filmed on the movie's set; subsequent seasons were in front of live audience in Hollywood. The two men live in Oscar's apartment at 1049 Park Avenue, from which they are seen emerging in the opening credits (above). A coop building from 1919, it hasn't changed much over the years, though we doubt Felix and Oscar were paying $8,100 a month rent (which at least one apartment is currently going for). Even adjusting for inflation, that would be about $1,500 in 1970, which still seems high. In the fourth season episode "The New Car"--filmed partly on location in New York--the characters inexplicably move to Central Park West and 74th Street, presumably into the San Remo. Oscar is a writer for the New York Herald; the only problem with this is that the Herald had gone out of business in 1924, purchased by its rival the Tribune. (As the New York Herald Tribune, it continued publication until 1966; the International Herald Tribune is still in business.) The Herald was published from a wonderful Stanford White building on Herald Square, which is also gone. In the credits, we see Oscar getting out of a taxi in midtown, near Times Square. Perhaps the best part of the original credits shows Felix and Oscar learning to dance at a maypole celebration on Sheep Meadow in Central Park. In the background the Century (25 Central Park West) and the old Gulf and Western building (now Trump International Hotel) loom over them. Maypole celebrations in Central Park go back at least as far as 1909, and by 1914, the New York Times was reporting that 7,000 girls from sixty-eight public schools had come to the park to erect maypoles and dance. 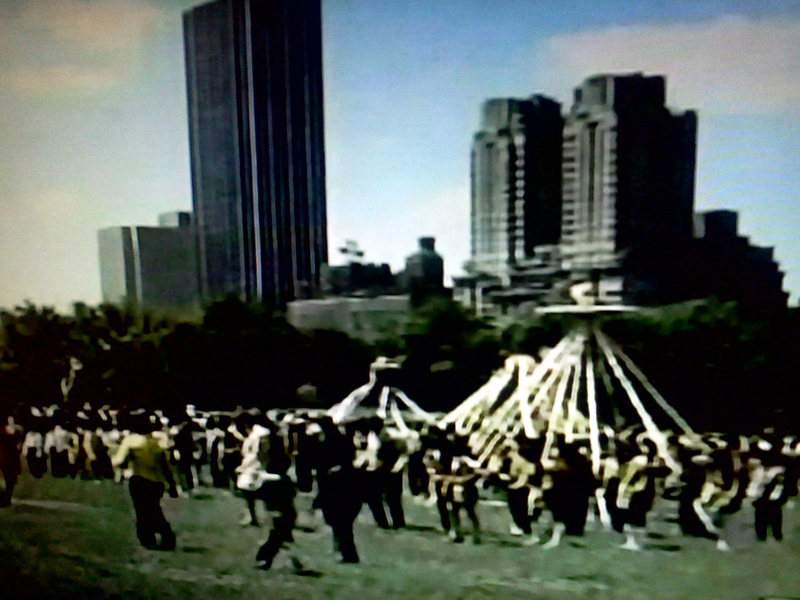 Indeed, maypole celebrations still take place each year in Central Park, though we're guessing nowhere near as many people show up. We'll be back before the ball drops to wish you a Happy New Year, but in the meantime, hope you are having a wonderful Hanukkah, that you amaze your friends with feats of strength tomorrow at Festivus, that you have a Merry Christmas, and a wonderful Kwanzaa. Follow us on Facebook, Twitter, get an RSS feed, or have these blog posts emailed to you. Here's another gem from the Inside the Apple archives. This postcard was made in 1908 and shows two birds ("Bird's eye view"--get it?) outside the Flatiron building at Fifth Avenue and Twenty-third Street. Because of the Flatiron's unique shape and its location along a broad crosstown thoroughfare, strong winds swirl near its base. When the building first opened, men used to flock to Madison Square to watch women walking by in the hope that the air currents would sweep up their skirts and reveal a glimpse of stocking. 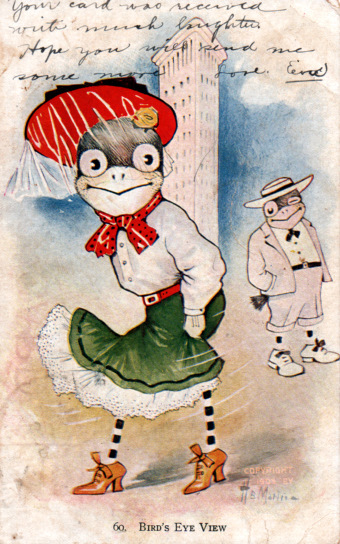 This is exactly what is depicted in the postcard above: the gentleman in the background is giving a knowing wink as the lady's skirt and petticoats blow up, revealing her ankles. How risque! In real life, there were a number of police officers posted to the Flatiron to encourage ogling men to move along. One common phrase they employed was "twenty-three skidoo!" Skidoo is a relative of skedaddle and means "to move along" or "go away." The number 23 was long thought to be a reference to the Twenty-Third Street; thus "23 skidoo" meant "stop hanging out on Twenty-Third Street." However, it turns out that "23" was already a slang term for "get lost" before there was a Flatiron building, cited at least as early as 1899. What seems plausible is that the police wanted to get rid of men in front of the Flatiron, so combined two already existing phrases that each meant scram--"twenty-three" and "skidoo"--into a phrase that had a double meaning. 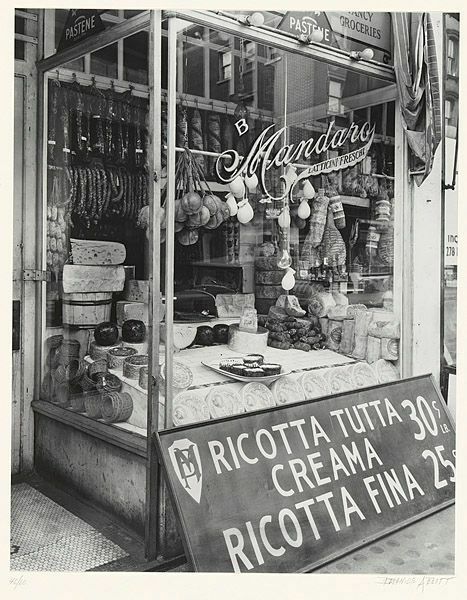 Soon, "23 skidoo" was one of the most popular phrases in America--it is still sometimes employed today, over a century later. 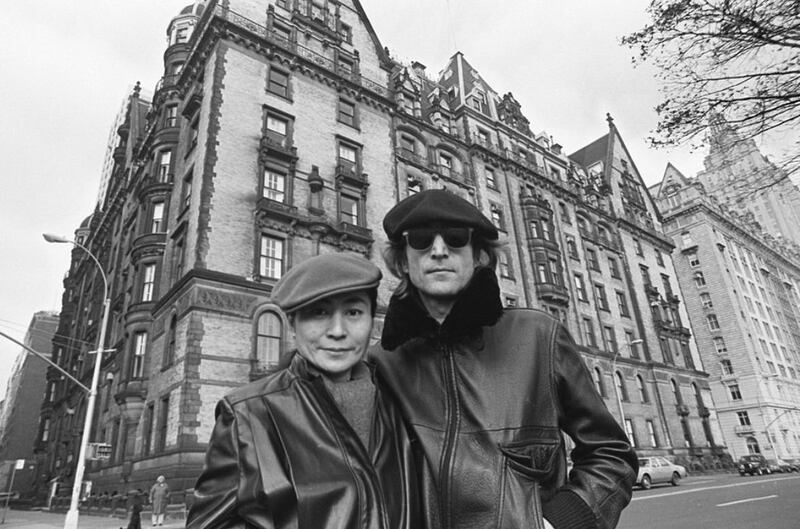 Today marks the thirty-first anniversary of John Lennon's murder at the hands of Mark David Chapman. On December 5, 1933, at 2:00 p.m., the 18th Amendment -- Prohibition -- was repealed, finally ending the so-called "noble experiment." Read more about repeal in our blog post from 2008, or if you haven't seen it already, take a look at Ken Burns's Prohibition, which tells the sad story of the 18th Amendment from start to finish. Would you hire a temp from these guys? In 1968, the ad agency Lois Holland Callaway thought so. Deciding that the time was right to diversify (and that New York was always filled with people looking for work), Lois Holland Callaway launched an employment agency. 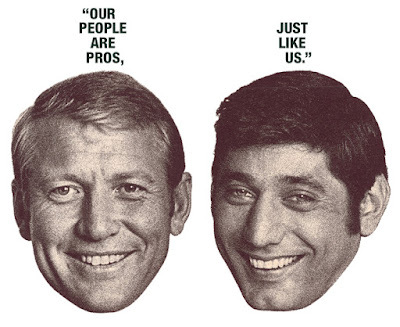 To be the public face of the company, they picked Yankee great Mickey Mantle and Jets quarterback Joe Namath and named the new venture Mantle Men and Namath Girls. It seemed like a winning bet: the telegenic Mantle had already appeared in commercials for the company, including a well-known spot for Maypo cereal ("I Want My Maypo...I Want It!") and Namath was arguably the most famous sports figure in New York. The pair did personal appearances to hype the company, appeared in all of the print ads, and even made television commercials (a first for an employment agency). 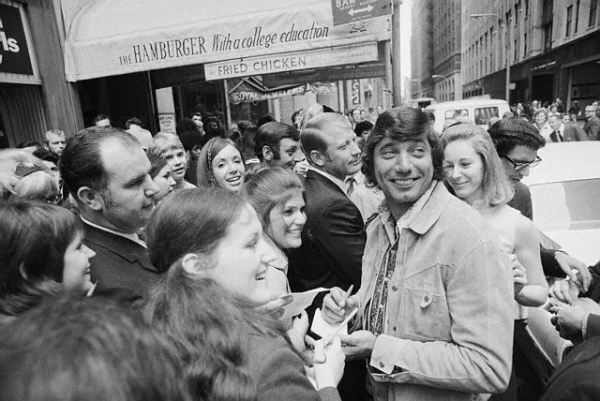 Soon, Mantle Men and Namath Girls had a dozen offices in the city and the suburbs; within a year it was the second-largest employment agency in the world. What the company didn't count on was a souring economy. According to George Lois, one of the company's founders, the recession of 1969--the worst since the Korean War--killed the venture. While more people out of work meant more business in the short term, it also meant fewer jobs, and Mantle Men and Namath Girls had grown too quickly to sustain itself. Lois Holland Callaway sold the company and by 1974 it had filed for bankruptcy. The experience obviously didn't make Joe Namath shy away from advertising. In the 1970s, he went on to star in ads for Noxema shaving cream and Hanes' Beauty Mist pantyhose, which helped cement his status as a pop culture icon.